Signal is a free Private, Secure and encrypted messaging app from Open Whisper Systems. It is available for android, ios, Mac, Windows and Linux. Using Signal chat app you can send and receive text, voice, video, document, and picture messages without any fees. It uses end-to-end encryption to protect our privacy and uses zero-knowledge privacy. And it also supports disappearing messages with time intervals for each conversation. You can also use these procedures to install on all debian based linux OS. Open your terminal app in Ubuntu and run the below command. Type your Ubuntu password and press enter. Then type and enter the below command in Ubuntu. Then run the below command. 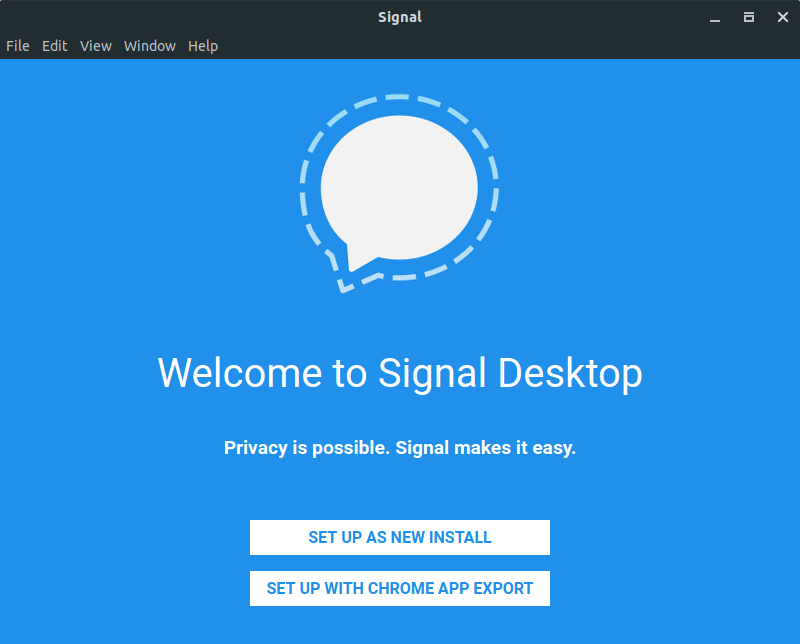 This will install the Signal Private Messenger Desktop app on your Ubuntu. This download size is around 100MB. Note: You need Signal Android or iOS app on your mobile for authentication like WhatsApp. After the installation to open the Signal Private Messenger, click the show applications in the Ubuntu Gnome dock and type Signal in the search box and click Signal. Click setup as new install and scan the QR code from your mobile signal app (Settings->Linked devices).